Closing on Easter Monday, Monday, April 22nd. Our sparkling accessories to highlight the friendliness in the bar universe, with all the equipment necessary for the bartender for mixing cocktails. 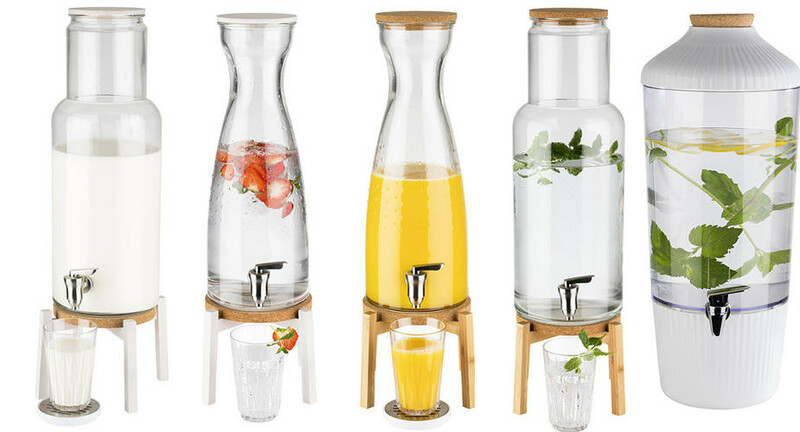 Professional fruit juice dispensers, milk dispensers, beverage dispensers. Black melamine tableware , inside decor wave. 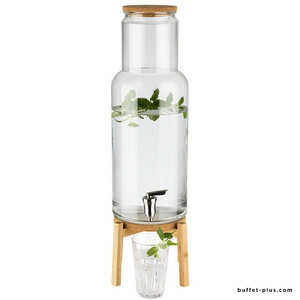 Glass drinks dispensers with tap, for breafast buffets or at the bar for cocktails ! Drinkings cups Crystal and glass drinking. 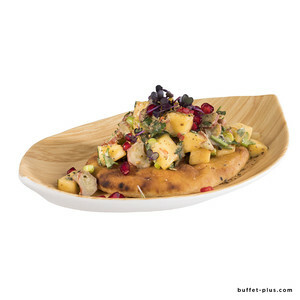 With its Spanish charm and the beautifully crafted details, you get a slice of Spain on your buffet. Professional cereal dispensers and cereal displays. The sun is rising! Maritime aqua tones, gradients and classic blue and white reminiscent of a Greek tavern in the Aegean Sea. 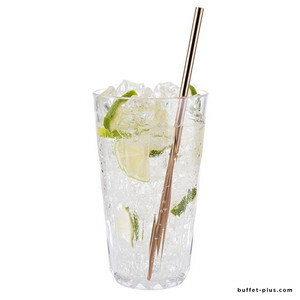 Set of straws stainless steel or glass, Ø 6 mm, Ø 8 mm, Ø 10 mm, and brush. 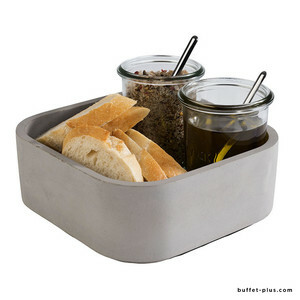 Buffet Plus offers you a choice of gastro containers in stainless steel, as well as transparent gastro containers, melamine black or white, in all gastro sizes and heights ranging from 10 to 200 mm, with suitable lids. Our current selection You will love it ! 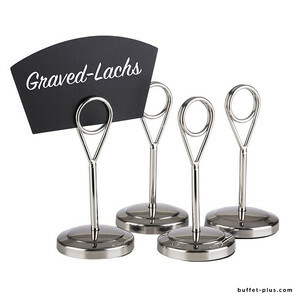 Label holder with stone shaped feet, stainless steel, high polished, copper look or gunmetal. Concrete. Stackable, no dishwasher. With non-slip feet. 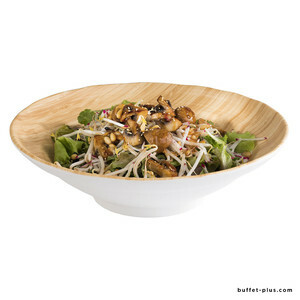 Melamine plate, decor bamboo, outside white. Made of concrete, furniture-friendly underside. Glass, lid and stand wood, cork coaster. Volume 7.5 L.
Tray Blue Ocean, GN 1/1, GN 1/2, GN 1/3 et GN 2/4. 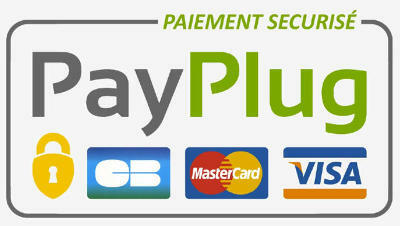 Discover on Buffet Plus all professional CHR equipment for catering for restaurants, hotels, snacks and restaurants. 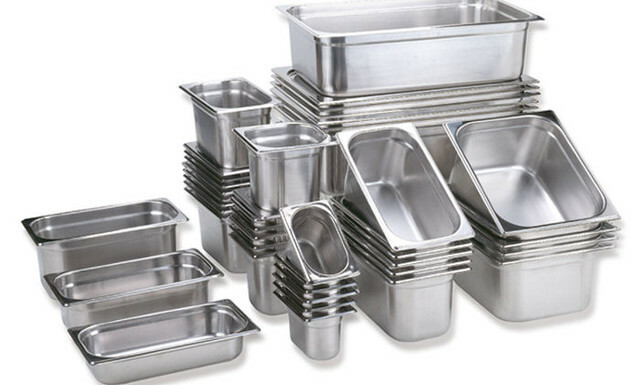 On our online commercial website, you will find the necessary material for the professional equipment of cafeterias, restaurants, but also professionals of fast food, open buffets, bakery, pastry, tea rooms, leisure complexes, caterers, communities. 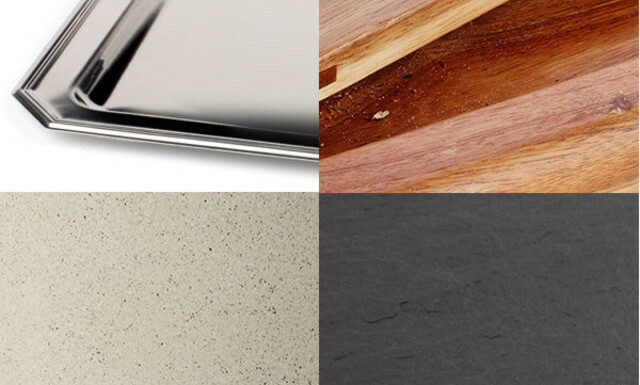 We offer quality catering equipment for professionals with modern, trendy and innovative articles and materials that will allow you to enhance your know-how. 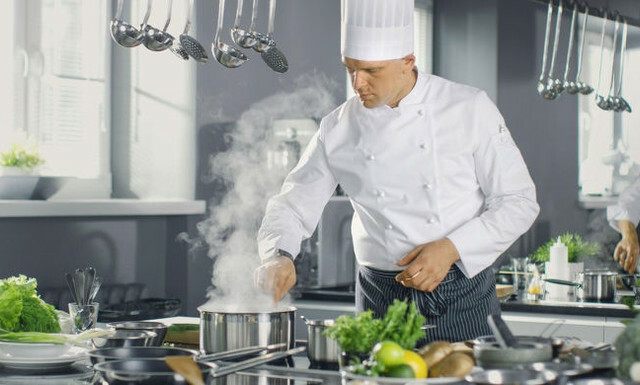 Where to buy your professional catering equipment? on Buffet Plus with more than 3000 articles numbers offered for sale for a tailor-made response, adapted to your needs, your activity and the size of your establishment, with durable and resistant professional equipment. Buffet Plus presents different worlds, from the kitchen to the table, to the bar, to allow you to succeed your presentations and your preparations in a unique atmosphere. The professionals of food, bakery, pastry, butcher, fishmonger, pizzeria, caterer, restaurants, will find all the equipment which they need. 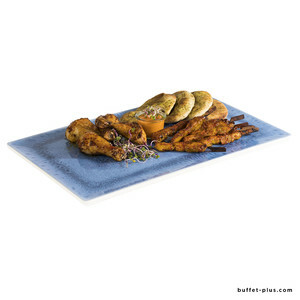 Buffet Plus offers all the necessary equipment for successful buffets, banquets, catering services, and allows you to create a unique atmosphere for your customers. You will find on our online commercial website what you need to prepare a cold buffet. All the equipment to make your breakfast buffet a success, with drink dispensers, fruit juice dispensers, cereal dispensers, refrigerated display stands ... But also all the equipment for setting up a hot buffet, with: chafing dish, display stands and reception plates, jugs, coffee pots, teapots, milk jug, insulated pitchers, not forgetting the transport utensils, transport and storage equipment: insulated containers, transport trolleys. We also offer displays and presentation stands for your buffets, with cake stands, trays with covers, melamine or slate trays, melamine tableware, tableware and table accessories, baskets. To change the decor and atmosphere, to present your preparations and to serve them, you will find a wide choice of professional items in our ranges.